Union Home Minister Rajnath Singh today released an illustrative book of Central Reserve Police Force (CRPF) titled 'Ayodhya ke Shoorvir'. 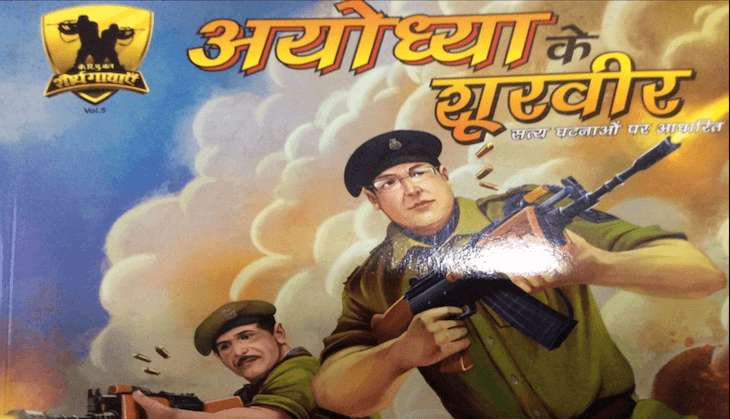 The book depicts the brave exploits of CRPF in foiling a terrorist attack on Ram Janam Bhoomi- Babri Masjid Complex. On 5 July 2005, after blasting through the outer barricade of the complex, five heavily-armed terrorists tried to move towards the inner barricading, where troops of 33 Battalion CRPF were deployed. The militants with an intention to storm the "Sanctum Sanctorum" fired heavily at the troops along with lobbing grenades and firing rockets. But the troops retaliated fiercely and neutralised all the five militants after an hour-long gun battle. For showing extraordinary bravery and valour, 20 CRPF officers and men were awarded gallantry medals which included 02 Shaurya Chakras, 06 President's Police Medal for Gallantry (PPMGs) and 12 Police Medal for Gallantry (PMGs). READ NEXT >> Minor marriage controversy: will Jharkhand state BJP chief's head roll?